At KARLHAUS REALTY, we are committed to protecting your privacy and to developing technology that gives you the most powerful and secure online experience. You can travel through most of our site(s) without giving us any information about yourself. But sometimes we do need information to provide services that you request, and this statement of privacy explains data collection and use in those situations. Personal information collected by karlhausrealty.com, flyinrealty.com or any of our other sites often is limited to name, address, telephone and e-mail address, but may include other information when needed to provide a service you requested. 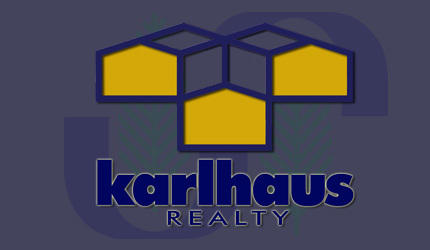 KARLHAUS REALTY will not disclose your personal information, without notice, unless required to do so by law or in the good faith belief that such action is necessary to: (a) conform to the edicts of the law or comply with legal process served on KARLHAUS REALTY or the site; (b) protect and defend the rights or property of KARLHAUS REALTY, and, (c) act in urgent circumstances to protect the personal safety of users of KARLHAUS REALTY, its site, or the public. We may use third-party advertising companies to serve ads when you visit our Web site. These companies may use information (not including your name, address email address or telephone number) about your visits to this and other Web sites in order to provide advertisements about goods and services of interest to you. If you would like more information about this practice and to know your choices about not having this information used by these companies, click here and here. When you give us personal information, KARLHAUS REALTY will not share that information with third parties without your permission, other than for the limited exceptions already listed. It will only be used for the purposes stated above. We strongly adhere to good internet ethics and deplore the use of spam.